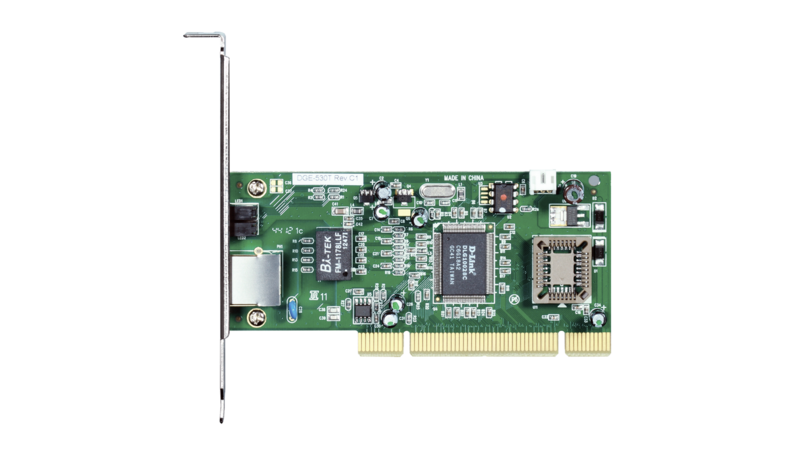 The D-Link® 10/100/1000 Gigabit Desktop PCI Adapter (DGE-530T) delivers high-performance wired network connectivity to your desktop PC. Connect to your Gigabit home or business network and transfer files at speeds 10 times faster than 10/100 Fast Ethernet devices. Once connected, access music, documents, movies, and photos that are shared on your network. You can also access your network’s available high-speed Internet connection to check e-mail, browse the Web, and chat with friends and family online. In addition, with blazing fast Gigabit speed and the 802.1p Quality of Service (QoS) feature, you can make and receive jitter-free Voice over IP (VoIP) calls as well as experience lag-free LAN gaming. This Gigabit Desktop Adapter includes advanced features such as Wake-on-LAN and 802.3x. Computers and operating systems that support the Advanced Configuration and Power Interface (ACPI) can remotely wake your PC from anywhere on the network with the Wake-on-LAN feature. With support for 802.3x flow control, data is received and transmitted smoothly to and from the network. This Gigabit Desktop Adapter is automatically detected by the Windows® OS during installation, simplifying the setup process. 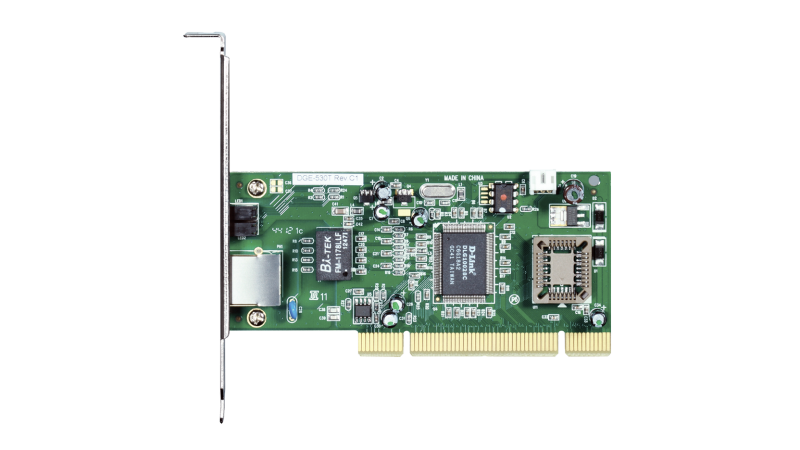 Supporting IEEE 802.3, 802.3u, and 802.3ab standards, this Gigabit Desktop Adapter ensures compatibility with 10BASE-T, 100BASE-TX, and 1000BASE-T networks. Additionally, it utilizes autonegotiation to automatically adjust to the highest supported transfer rate (up to 2Gbps in full duplex mode). 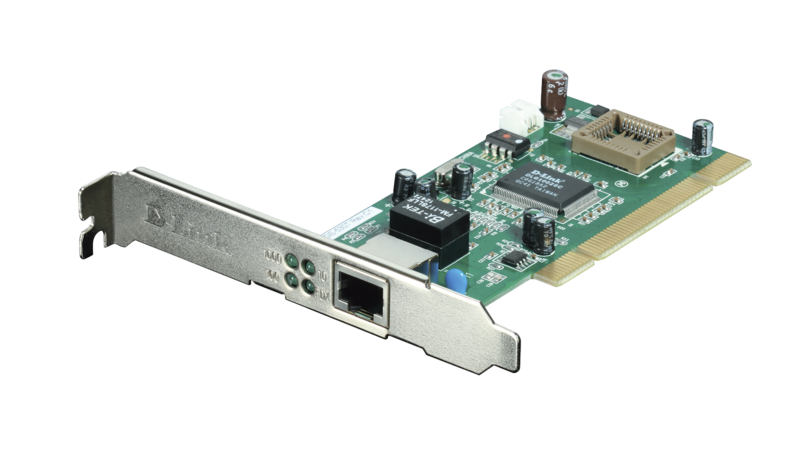 Transfer files faster and enjoy smooth network gaming by adding high-performance Gigabit wired network connectivity to your desktop PC with the D-Link 10/100/1000 Gigabit Desktop PCI Adapter (DGE-530T). •	Item (WxDxH): .6" x 4.72" x 1.97"
•	Packaging (WxDxH): 9.3" x 1.4" x 6.7"